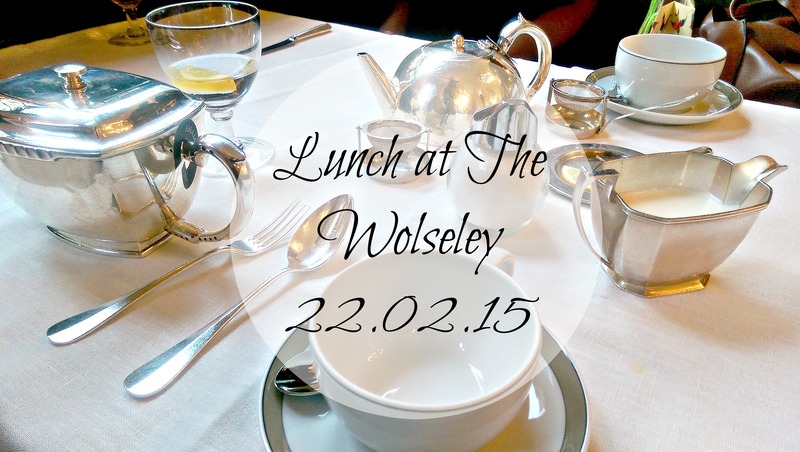 This post as you can tell is all about Sunday Lunch at The Wolseley. 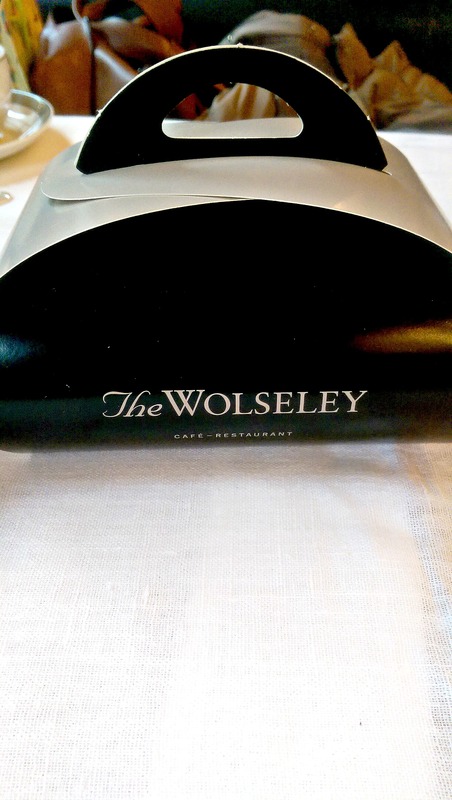 The Wolseley, if you have never heard of it is a restaurant in Piccadilly, London. It sits next to the famous Ritz Hotel. 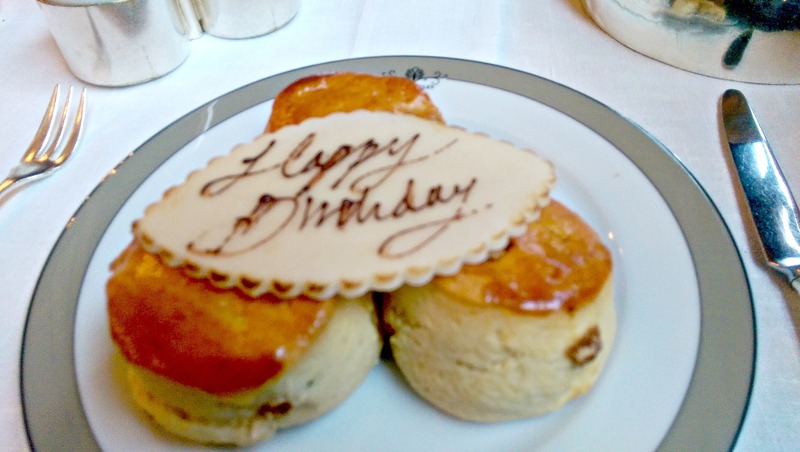 The Lunch time menu is rather charming and having arrived for a birthday celebration, greeted by a man at the door in a top hat who opened said door for me so I could dart inside out of the blustery rain storm that descended upon London; seemingly, at the moment my heard surfaced above the parapet of the Tube! I matched his warm greeting and entered the charming restaurant. The art deco design of the restaurant wallops you in the face but its a wallop that I absolutely adore and would quite happily have happen to me again! I so have a thing about beautiful architecture and being a londoner I hardly ever stop to appreciate it on the outside but I defintely noticed the internal design and ornate features of this fine establishment! 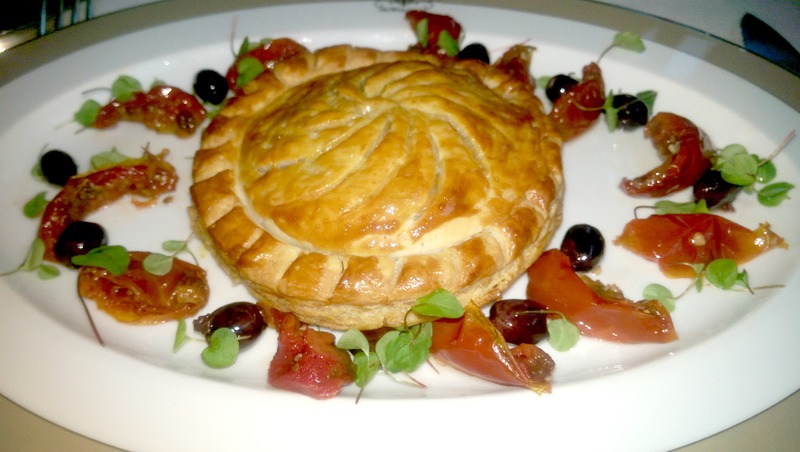 Being late, the Maitre’d showed me to the table where the other guests were seated; it being a cosy affair, it was just myself, the birthday girl and another friend who would be dining this cold, wet Sunday afternoon. Picking up the menu and looking first at the desserts and being hit with so many decadent choices I immediately realised that a starter was not for me, not today and I would have to narrow it down to two desserts. 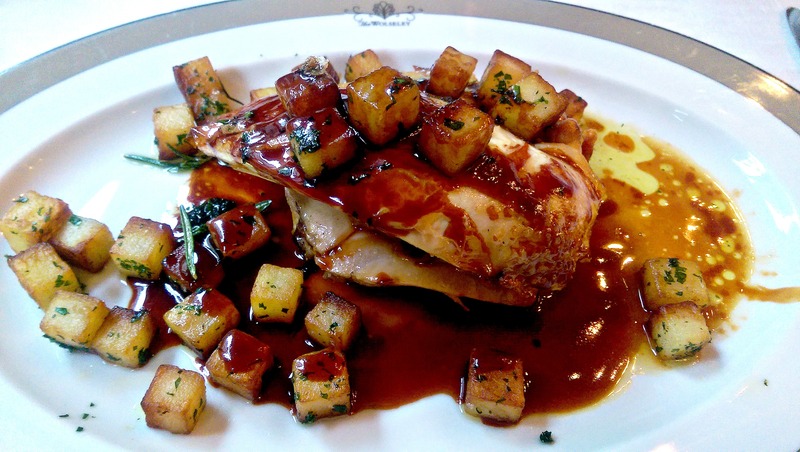 Since I quickly discounted that portion of the menu I unfortunately can not advise or review any aspect of it. I did see the table adjacent to ours tucking into Oysters. Having previously suffered from food poisoning after consumption of an oyster I will never try them again but those diners looked like they were enjoying themselves. 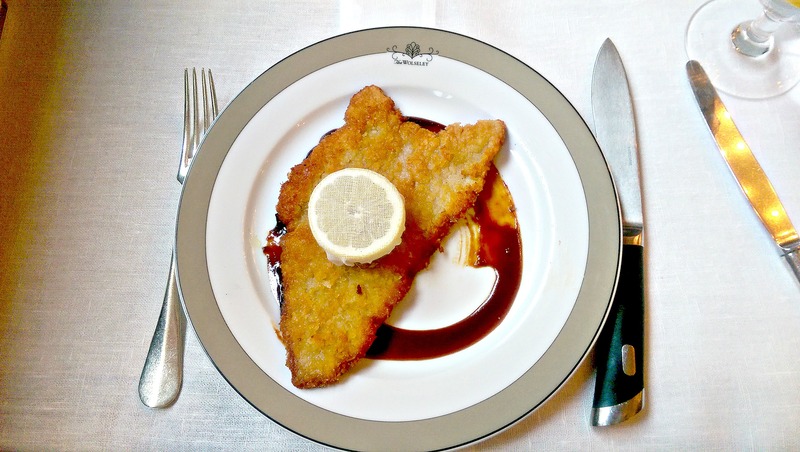 She was amazed at the size of it, said it reminded her of home and declared it was the best schnitzel she as tasted in the UK. 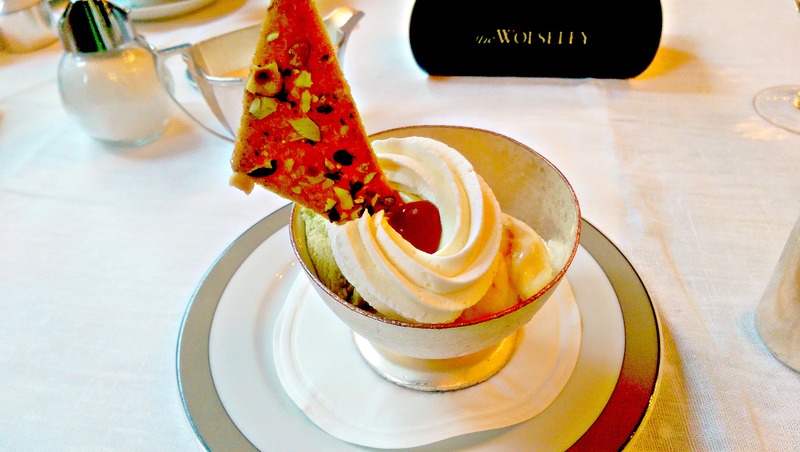 So The Wolseley, that is saying something! 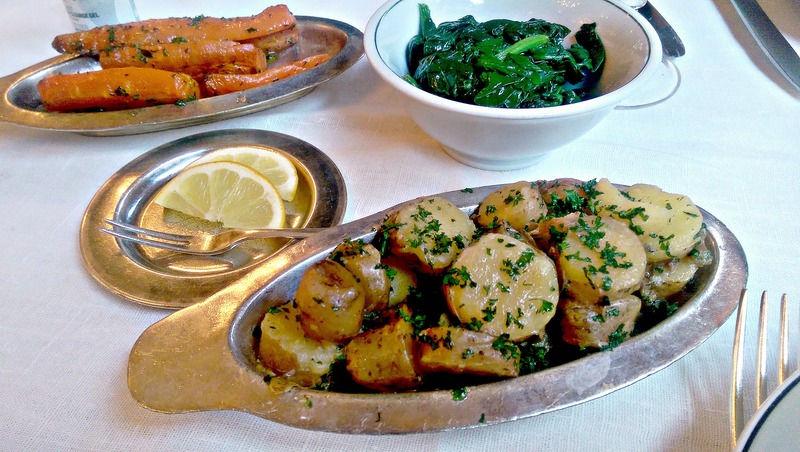 The three of us shared sides; pink fir potatoes, thyme roasted carrots and wilted spinach. The pink fir potatoes were delectable as was the carrots and spinach. 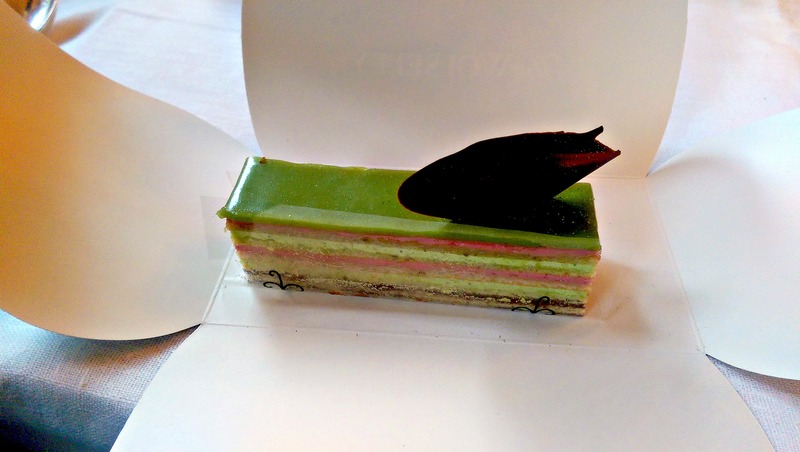 The best part for me was getting the menu again from the waiter and perusing the scrummy sounding desserts! I’m not gonna lie I found it incredibly hard to narrow my choice down to two as there were a lot of top Ashleigh picks on the list from the ‘Armandine’ which is a trio of nut ice creams; pistachio almond & hazelnut served with butterscotch sauce and whipped cream. This to me just sounded orgasmic! I got it and believe you me it was! The whipped cream wasn’t that canned stuff and the ice creams were rich and tasty; the butterscotch warm and served in a little silver pot! Also up on the list was crème brûlée, chocolate éclairs, Portuguese custard tart, lemon meringue pie, baked cheesecake, apple strudel and ginger ice cream and pistachio and cherry opera cake! I will have you know that there is actually more on the dessert menu but these are the ones that excited me! Being her birthday and the fact that Gosia told them this (why I never remember to is beyond me!) they carried her scones covered in a silver cover pulled it off to reveal the Happy birthday they had put in with the scones. A much more dignified way to acknowledge your birthday. No fan fare no dimming of the lights or standing on the chair like they make you do in TGI Fridays! I for one respected and appreciated that fact! Which I just had to open…. I had it the next day and I tell you it was the epitome of deliciousness! Everyone on my table in the canteen were transfixed on the cake and it being so good I was not about to share!!! I need to go back, when are we going back! Do you guys know of any great restaurants I should try? Let me know here in the comments section or hit me up on social media all my links are below…. I’m glad you had an amazing time. It is truly one of my favourite luxurious lunchtime spots. Definitely worth a visit if you live in or are visiting the capital. 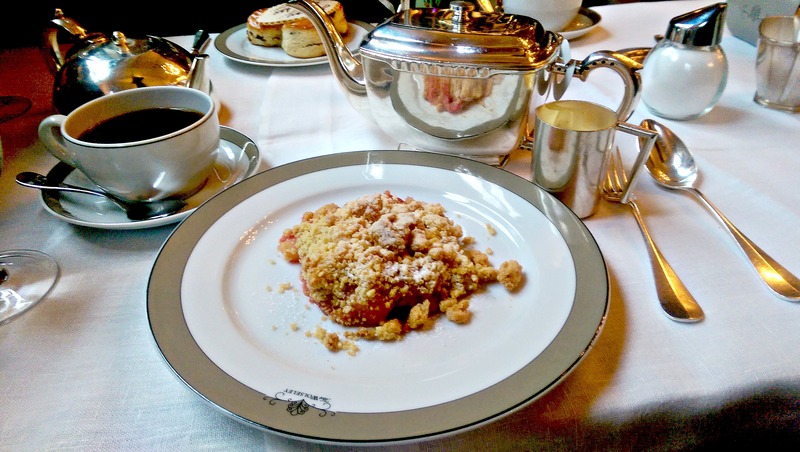 Every guest walks out feeling special, especially having tea served in a silver teapot and dessert showcased on fine China.